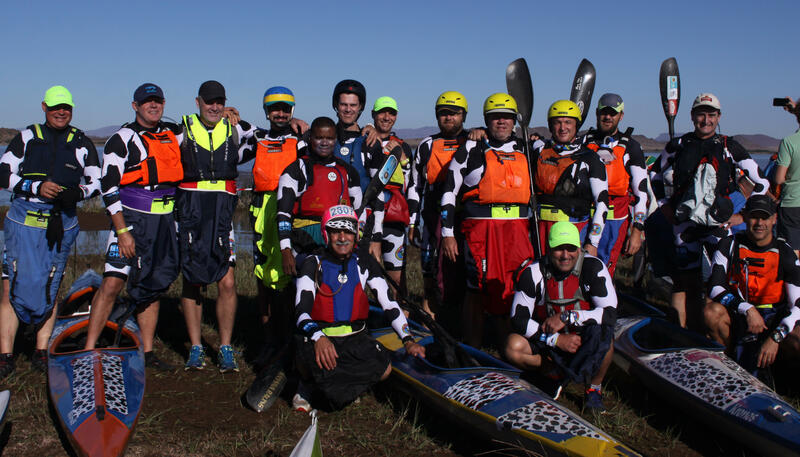 Cradock - The Paddling Herd of the sport-loving fundraisers The Cows made a striking debut at the 2017 Hansa Fish River Canoe Marathon, launching the canoeing arm of the well-established cycling, swimming and running body, and raising a large amount for cancer related charities. Paddling in their distinctive black-and-white Cow kit, the inauguration of the paddling Herd attracted 25 Cows in 11 boats to take on the 82 kilometre, two-day event, one of the highlights of the annual paddling calendar. In the process they managed to raise over R120 000 through the novel fundraising tools championed by The Cows, with more donations, pledges and sponsorships still coming in. "The Fish and The Cows are a great fit," said Daisy, the chief organisers behind The Cows. "This is the one canoeing event in the year where fun is a top priority, which is exactly the same way that we do business at The Cows." "We support the CHOC Childhood Cancer Foundation, and as October is Cancer Awareness Month, this added value to what we set out to do. "The race has done a fantastic job of supporting the Cradock Cancer Care Unit over the years, and we were delighted to be able to divert some of the funds that we raised to this important facility as well," said Daisy. "The entire collaboration with the race committee was so positive, right from the outset, and I hope we can build on this in years to come," she added. The Cows went about their business in typically raucous fashion and made a big impact on the race, in the hope that they could spur-on more paddlers to join the Paddling Herd at the other major races during the summer. "We are ordinary men and women who use the chance to do what we love to make a difference to the lives of children battling cancer. "I hope we can welcome more paddlers to join the Herd for some of the big races in the future, like the N3TC Drak and the FNB Dusi," she said. 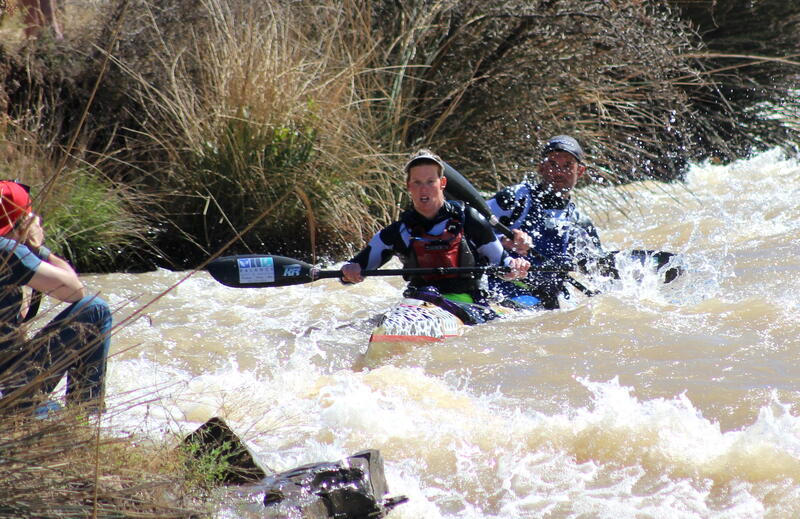 The Paddling Herd had an ideal pre-Fish warm up at the VKB Liebenbergsvlei marathon a few weeks before the Fish, where the tone was set for the fun and festivity that will be synonymous with the canoeing arm of The Cows. 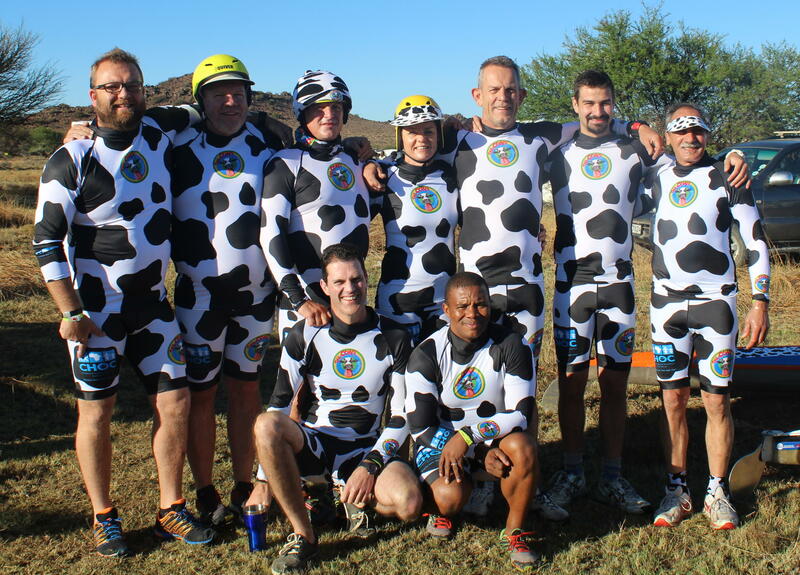 The launch of the Paddling Herd of The Cows coincides with the tenth anniversary of the popular sporting "fun-draisers" during which time they hope to raise R10 million for CHOC.